A zombie plague blights the ice world of Skorbad, a planet that is ravaged by war. A heroic band of Space Wolves are sent in to break the deadlock, but these are not just any sons of Leman Russ - that are thunderwolf riders, an ancient brotherhood, warriors of myth and legends. During the hunt for the corrupted propagators of the plague, one of the Space Wolves succumbs to the wulfen curse. Suddenly it isn't just zombies that these feral heroes face in the darkness. Amid the ruins of Skorbad, the Space Wolves must save their fallen brother before a much more horrifying truth is revealed. I just finished the Thunder From Fenris audiobook. 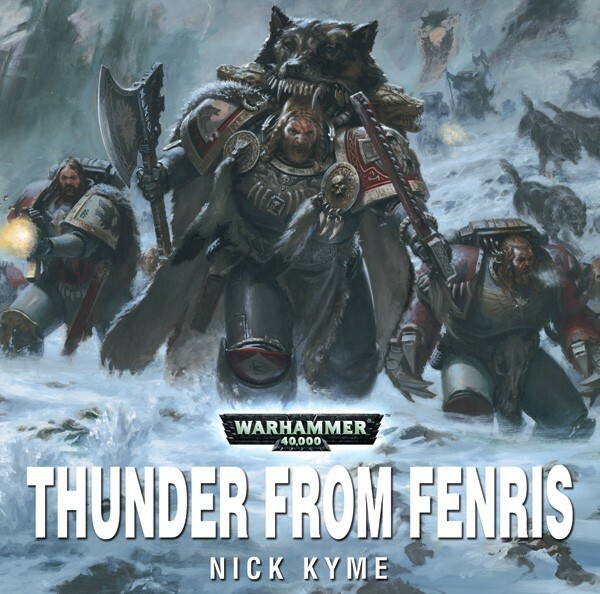 If you are a Space Wolf fan in any way I would recommend it. The voice acting is very good, and the sound effects aren't distracting (actually, they add to the story quite well). Listening makes me want to go order the resin Thunderwolves I have been eyeballing. Toby Longworth does a great job voicing the wolves as the space viking-like super humans they are. My only complaint is the length, it's too short! Such an excellent audiobook is only 75 minutes.